One of the best parts of blogging is the interaction I have with fellow collectors and bloggers. Sometimes it's through emails. Other times it's through care packages. Once in awhile it's in person. But most of the time it's either through comments left on my posts or comments I've left on fellow blogger's posts. Since I started this blog, I've felt that if I wanted people to open up and leave comments on my posts, then I had to be willing to leave comments on their posts. It's been a win/win situation. 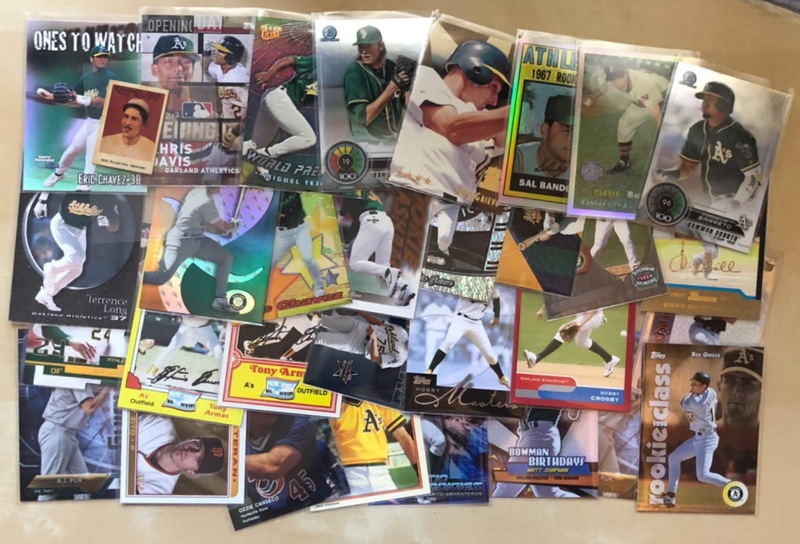 I get to read interesting articles about sports cards, learn about and see cool sports cards, and hopefully they'll spend a few minutes checking out what I have to offer. John over at Johnny's Trading Spot took it a step further. Not only does he take the time to comment on my blog, he also sent me some cards for being the most frequent commentor 3 years running. If I were to guess, I'd say he sent 300 to 400 different cards. As you can see from the photos, there were tons of goodies. 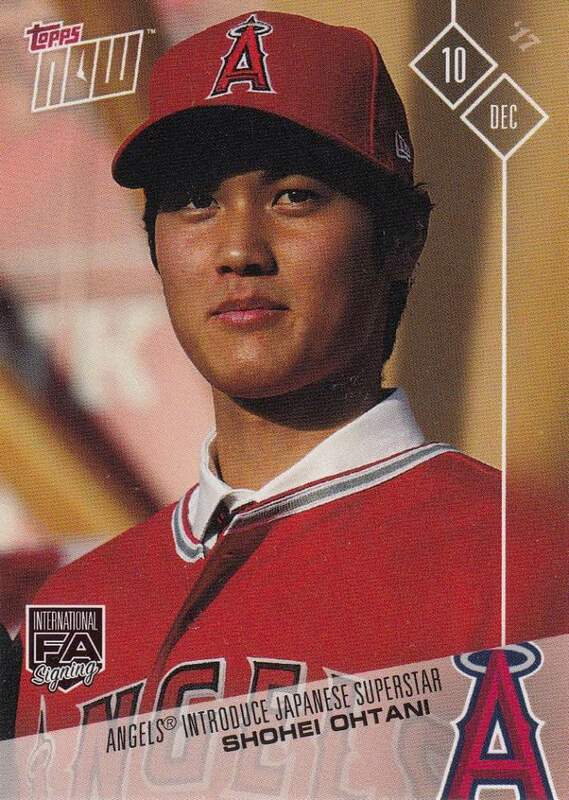 I considered buying this card a few times, but never pulled the trigger. Now I won't need to. This is a huge addition to my Japanese PC. 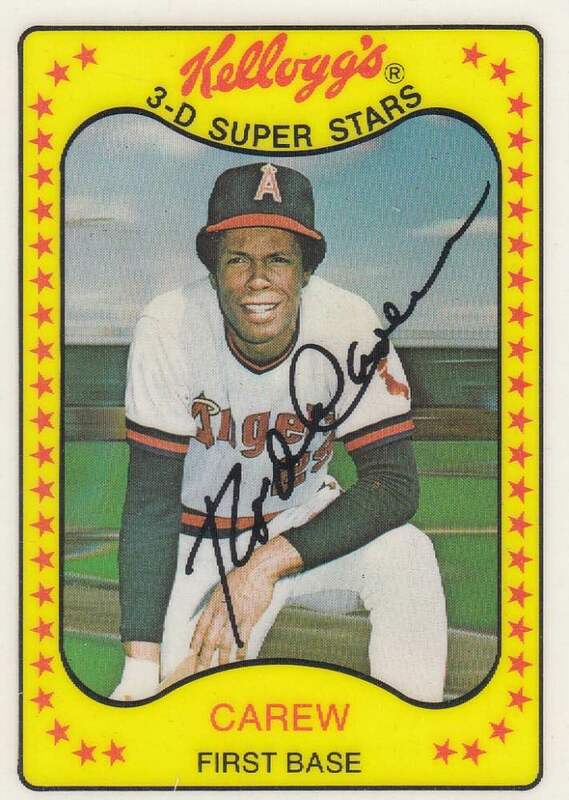 I've been a fan of Rod Carew and Kellogg's baseball cards since I was a kid. This card immediately stood out with its bright yellow borders when I was flipping through the stacks. Right now there are five pitchers who share the lead in MLB lead with two complete games each. 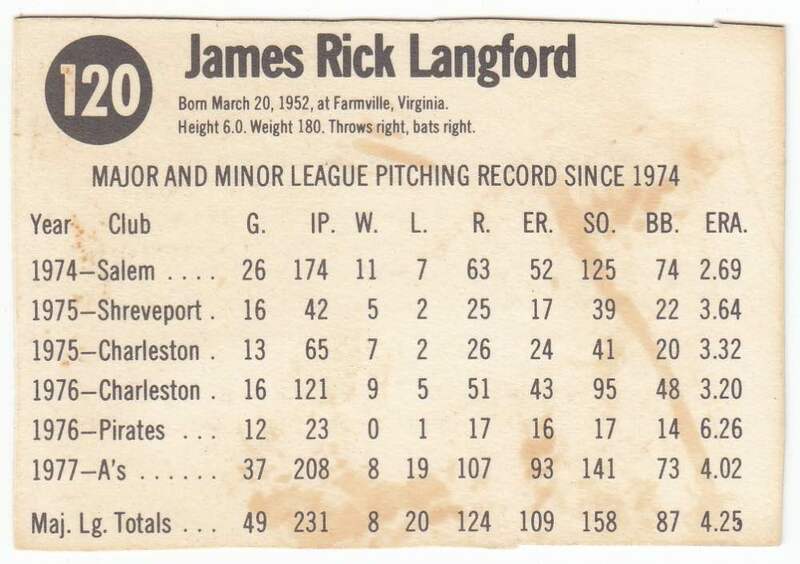 Rick Langford pitched 22 consecutive complete games in 1980. Yeah. Let that sink in for a second. Meet the 1972 World Series Champions. 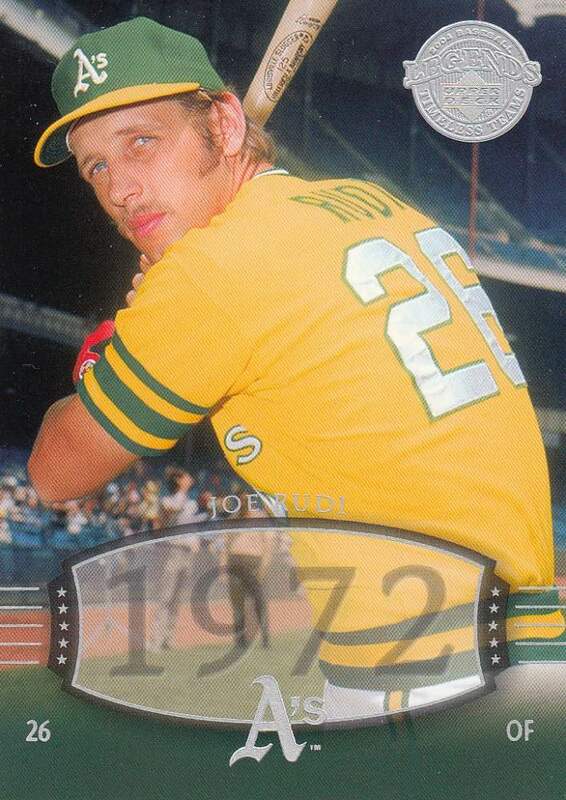 This card brings me one step closer to completing this set. Only 41 more cards to go. In an effort to pay it forward, I'm going to send out a care package to one lucky person who leaves a comment down below. I'll leave the comment window open for one week. After that, I'll throw everyone's name into the list randomizer at random.org, hit randomize five times, and whoever comes out on top will win the pay it forward care package. Thank you John for this very generous package. And thank you to everyone who has ever taken the time to read my blog and comment on my posts. If I haven't reciprocated, there's a good chance I don't know about your blog. Feel free to leave a link to your blog down below and I'll add you to my reading list. Comments are what make the blogging world go round. Neat idea of rewarding the most frequent commenter. Is there an easy way to keep track of this? I always do my best to comment on as much as I can. Even on days where I don't have time to read any blogs (like yesterday) I do my best to go back through and read up on what I missed (like I'm doing right now). Two complete games in an entire season as a league lead is ridiculous, and not in a good way. I don't always do a good job commenting on others posts although I do try and respond to everyone who comments on mine. Fuji, you are one lucky collector/blogger. Wow what a great package of cards you received. I always enjoy reading your blog even if I do not always leave a comment for you. Keep up the great work! 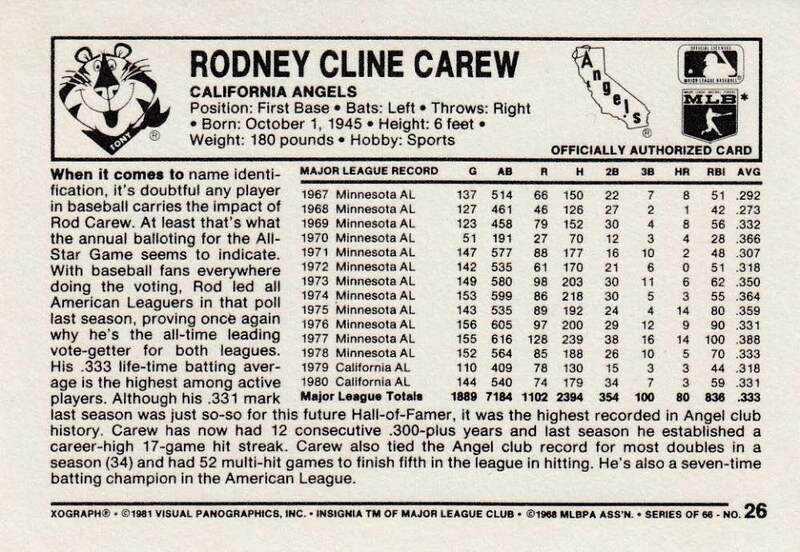 The Angels really need to go back to the "California" moniker and bring back that state logo from the back of the Carew card. That baby is a classic and missed. Panini should start calling them "California". 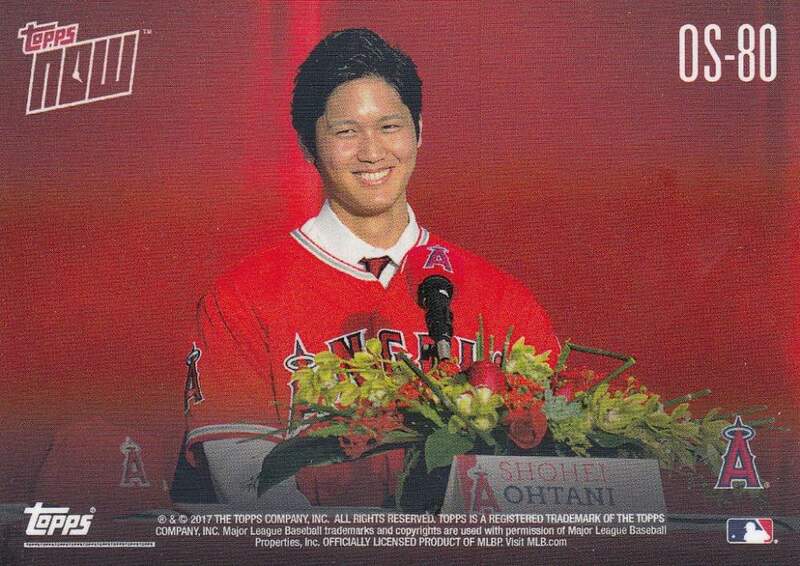 Or, alternatively, "Los Angeles Baseball Club of Anaheim." Love each of the five cards... 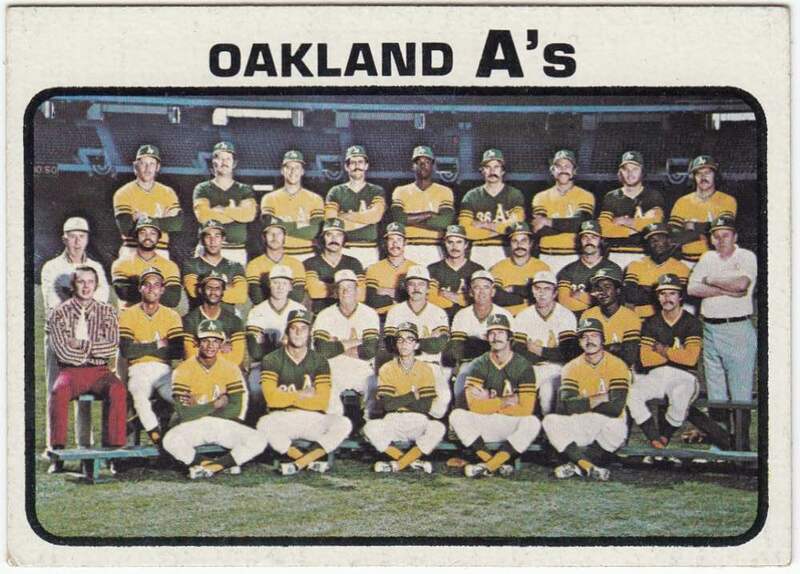 The only one I wouldn't gladly welcome into my collection is the 1973 A's team and that's only because I have one already. Here, here for commenting and not just commenting because there's a prize in the offing (which I swear I am not doing now! Maybe!)! What I don't understand is how some bloggers NEVER comment. I mean NEVER. How is that possible? I love the Timeless Teams Set,I might have some singles laying around somewhere,good luck on finishing the set. Some bloggers seem to forget how important comments can be, especially to those who are just starting out. For a new blogger, receiving a comment or two might be all that it takes for them to decide whether or not they want to stick with it. Also, since you just sent me some cards, you can go ahead and leave me out of the contest. Fuji, I don’t get too many comments on my blog, but you almost always leave comments on all of my posts, and I really appreciate your insights and opinions on all of my posts. Thank you for taking the time to comment. You are a class act. I watched a great documentary on Netflix once called "Fastball." I highly recommend it. 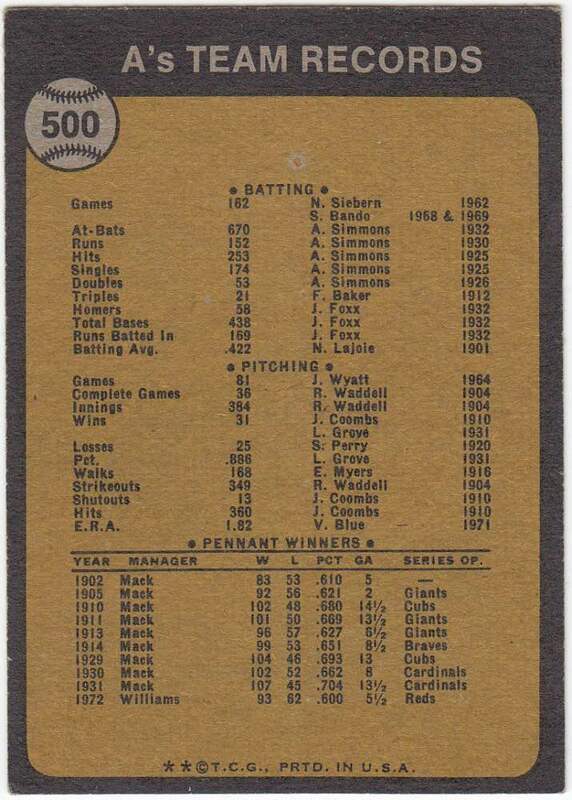 I bring it up because they state that Nolan Ryan was his own closer; he pitched so many complete games. It's really quite a feat we don't see anymore. You would win the same prize on my blog too. I would comment more often, but sometimes I feel it would be redundant to what others have already said. Plus I feel like I complain too much about Topps and the current hobby trends. I've made a concerted effort to try to comment more on blog posts, but many times I don't really have anything to say about what's written. I just hope me clicking on the article helps to let the author know their efforts are being appreciated. This post definitely makes me wanna send you a shout out for taking the time to comment on my blog on a regular basis. I rarely get comments but you always take the time to write something on my posts and i always appreciate it. I know i don't do it nearly as much in return, but rest assured i do read and love each post that you make! I'm no stranger to commenting, but I feel like I should comment more. I read a LOT of card blogs and probably only comment on less than 10% I read. I think I'm more liable to comment on a post that doesn't have many other comments. If all I've got to say is "nice card!" on a post where a few people have already said nice card, then what's the point? But yes, as a blogger, I know comments are very appreciated and help make it worth all the time and effort it takes to run an active blog. First time commenter long time lurker, I only read a couple of blogs regularly(of which yours is one). I appreciate the effort all of you put into these diversions from daily life. I never considered that additional comments might act as justification/encouragement for some. I would like to thank all of you out there for this escapism. I appreciate all of your frequent comments on my small corner of the blog world. John is also one of the most generous guys out there, so I appreciate seeing a post from one of the best bloggers about one of the most generous. Makes me happy! Fuji, you are definitely deserving of that package! One of the great commenters in the blogging world. For those that are interested, I did an interview of Fuji a little while back to get to know him a little better. Definitely worth the read if you have 10 minutes...it'll give you a better understanding of why he is so popular. Nope, you comment on my blog all the time!! No need for the link. BTW, I have updated my 82 T want list. Let me know what we can work out. I've been trying to leave more comments on blogs. Conversely, I appreciate all the one you have left on mine, so thanks! I really need to get better at commenting on other people's blog posts. Sometimes I get so wrapped up in my own writing and posting along with other things going on around me that I forget to leave comments. I really should make a concerted effort to do that more. By the way, I really appreciate you always leaving comments on my posts and taking the time to read my posts. Also, I need to get some stuff out to you soon. It's been too long. Thanks for all your comments as well. Hooray for comments! And packages! And super cool cards! I’ve been meaning to put a package together for you. I think somehow I’ve been back in this card thing for almost five years and I have yet to send you any cards. Sometimes it seems like you have everything already! 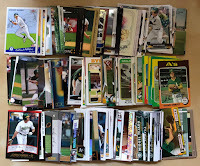 I pulled some fun A’s stuff recently though. I enjoy your blog and seeing your collection grow. Very impressive finds! 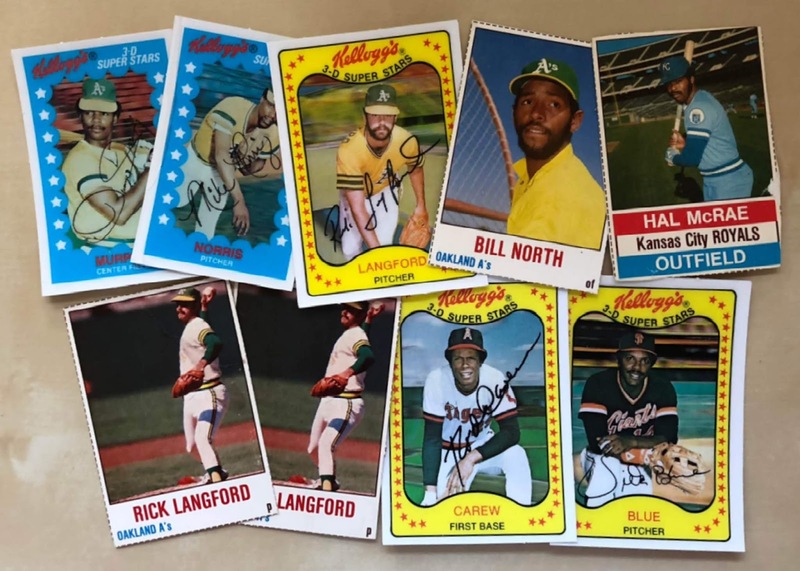 I have some Kellogg’s singles if you’re interested. I’m not a blogger (yet).. maybe down road a few years when I no longer have teenagers in the house and I’m closer to retirement. Until then thank you Fuji, and the many other great bloggers out there that I keep up with. Awesome article Fuji! I love commenting on other peoples blogs when I have something semi-interesting to say (work schedule permitting). And of course I love reading other people's comments. 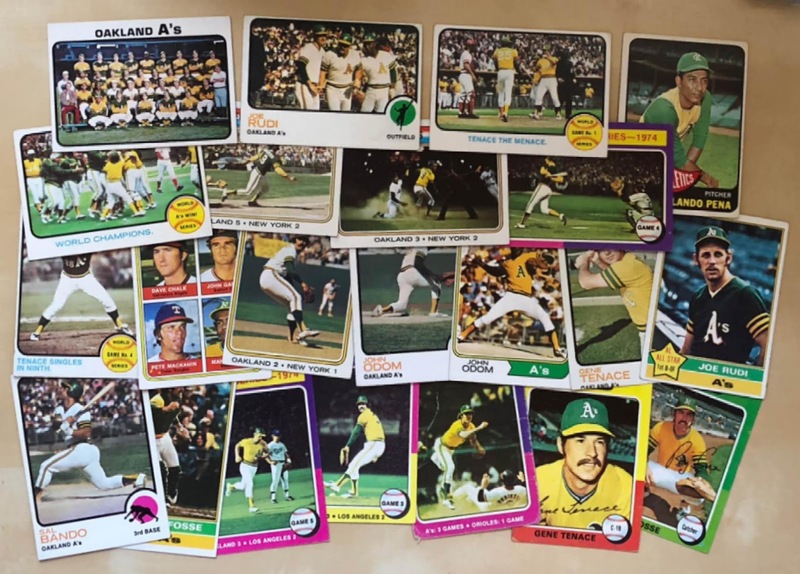 Great mix of vintage and current cards that John sent, congrats! And I'm always interested in exchanging random "care" packages! Well deserved Fuji! I appreciate you taking time to always comment on my posts! Just look at those accolades (above). Mark, thanks again! nick - that's pretty good. i'm terrible at going back and catching up on posts that i missed. gotta wonder how many awesome articles i've missed over the years. jasongerman9 - i appreciate it every time i see your name pop up in my comment section. as for the whole complete game thing... i agree. 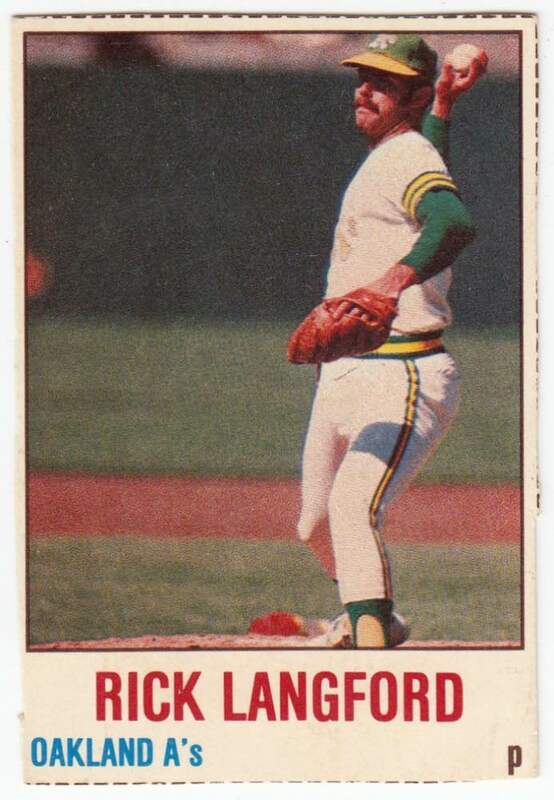 wish pitching was as specialized these days. night owl - i'm okay with people commenting for the contest. at least it shows that they took a few minutes to check out my posts (since i have no plans on advertising this contest). although... i guess the blog title hints at it. jon - great comment. so true. this might not makes sense, but in a similar situation... i try to go out of my way to say hello to my students who don't have a lot of friends. trevor p - i looked for it, but didn't see it. when i have some more time, i'll check hulu and amazon as well. sport card collectors - it's impossible to read and comment on everybody's posts. i'd never expect that from my readers. i just try my best to read as much as i can in my free time. community gum - i love your blog. but for some reason, i can't figure out how to leave comments on it. every time i do, the comment doesn't show up. jafronius - effort is better than no effort. i appreciate you taking the time to read and comment on my posts. chris p - lol. it's hard not to drool over that insane collection of yours. i don't even collect basketball, but i love seeing what you pull. threelions - comments or not, i'm glad someone is taking the time to read these posts. the lost collector - he sure is. i think that's the fourth (maybe fifth or even sixth) package i've received from him this year. sumomenkoman - thanks ryan for the kind words and taking the time to write up that interview. robert - i will look over my 82t this weekend. best of luck on that set. matt - right back at ya buddy. it's good to support each other's blogs. adam sanders - no problem. i enjoy reading your posts. bbcardz - thanks. you run a great blog. wish you were an a's fan, instead of a dodgers guy. 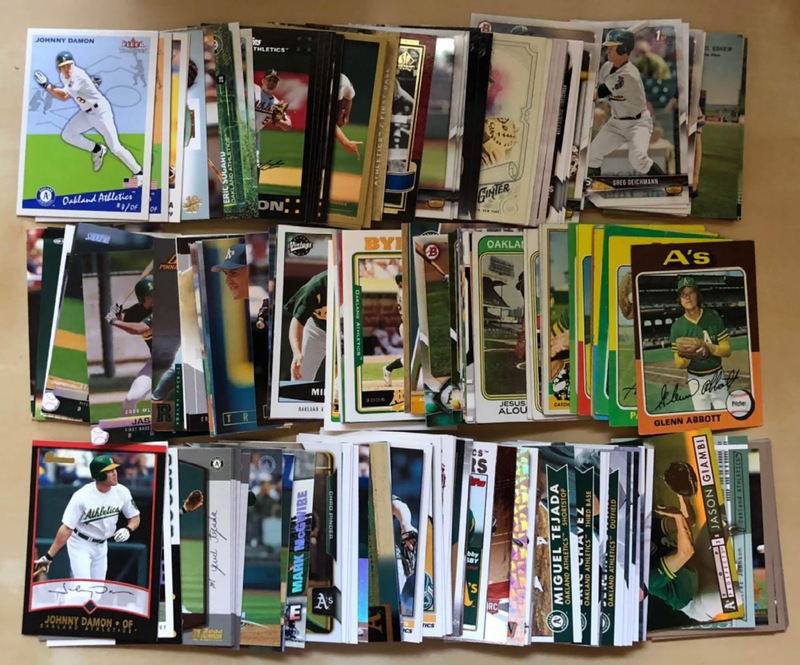 i could use a good resource for new a's SGA's and cards. sean - blog has been added to my reading list. can't wait to read your posts and comment on your blog. snorting bull - thanks. keep up the great blog. john miller - thanks again for being such a generous blogger. For the Sake of our Hobby?